WHY IT RATES: The comprehensive renovation will transform the property and will include remodeled guestrooms, residences, and a redesigned lobby. —Mia Taylor, TravelPulse Senior Writer. To remain the luxury hospitality leader in Vail, Colorado, Four Seasons Resort and Residences Vail will undergo a staged renovation beginning April 2019 while remaining open to the public. Once complete, there will be nothing like it in Vail. 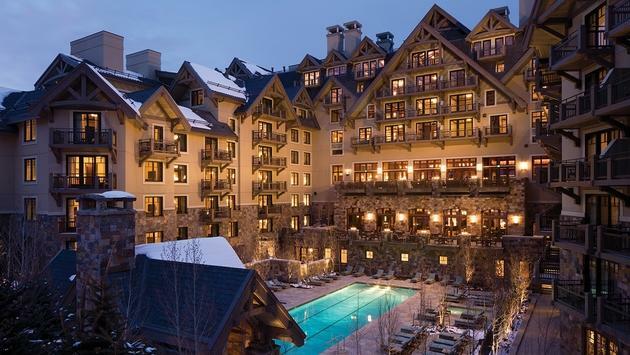 The premier ski resort will take full advantage of its unrivaled setting as the "Front Door to Vail" and continue to be the place for both locals and visitors alike who want the sophistication of Four Seasons while enjoying the legendary setting in Vail Village. In partnership with the resort’s owners, EX Vail experienced Four Seasons Resort Vail General Manager Meredith Macfarlane will spearhead the exciting project. “This comprehensive resort transformation will be a design evolution which, I have no doubt, will further enhance what guests experience at the Resort today,” says Macfarlane. The building’s design elements will transform the Vail property with a stylish makeover that will complement the cool-chic character first introduced with The Remedy Bar. The tailored mountain modern design will incorporate clean, contemporary lines, paired with organic textures and colors that complement Vail’s breathtaking mountain landscape. Local stone and wood will add nice touches to all the fireplaces, nature-inspired carpet, leathers, and textured fabrics; all combined to create a sophisticated resort feel.